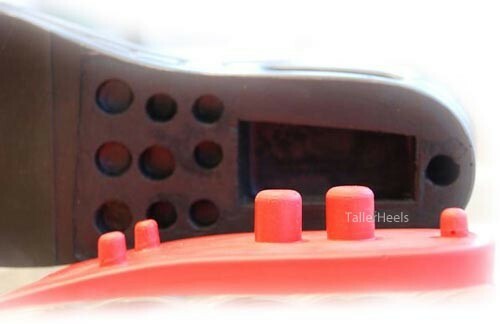 These Premium Executive Heel Lifts are an upgraded version of the Executive Heel Lifts also sold by TallerHeels. The product is mainly used for height increase, but also commonly used for leg length discrepancies, heel pain and achilles tendinitis. 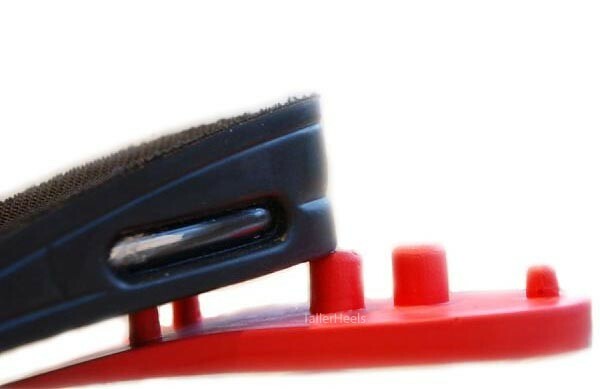 Sold as a pair, you will receive two main layers (these contain an air pocket described in more detail below) as well as two additional layers that can be used at the option and discretion of the user. The additional layers can be seen in red in the photographs. 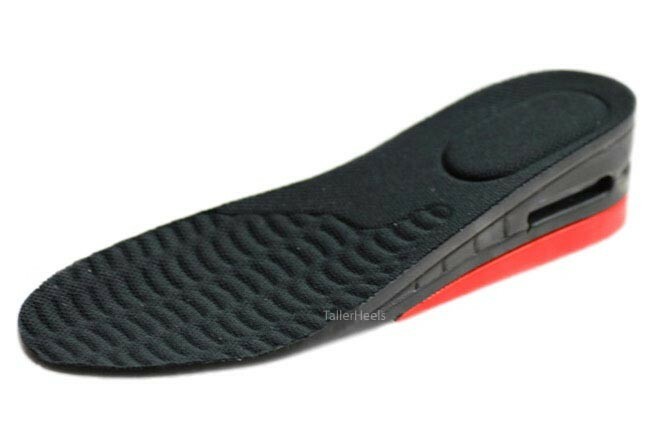 The primary layer is ergonimically shaped to fit the foot extremely well, giving support to the arch of the foot. An air pocket is incorporated into the main layer offering cushioning to the heel, giving an overall comfortable sensation to your feet.